OnYourMap uses technology to make spaces of all kinds interactive and easy to maneuver. The company is fundamentally grounded in future-friendly technology, using beacons to upgrade existing verticals. Indeed, they provide indoor navigation and location, but also indoor and outdoor tracking for assets as well as people. OnYourMap can already be found in a number of locations including hospitals, campus, factories and parking–in short, anywhere people or assets move. Their goal is an easy-to-use solution for businesses and visitors alike. Every business wants the chance to enhance customer experience. For solution providers, this is an obvious opportunity. However, the real problem is creating a solution that’s affordable, scalable, and hassle-free. Standards like GPS lack accuracy while others lack high penetration rates. OnYourMap needed to find a method of delivering customer-friendly tools in a way that also benefitted businesses and the bottom line. It was their head developer who initially suggested working with beacons, and it was immediately clear what had to be done. The company quickly realized that beacons were the only way to create accurate navigation within buildings. They would have to leverage the accuracy, affordability, and scalability of beacons to take on established competitors. 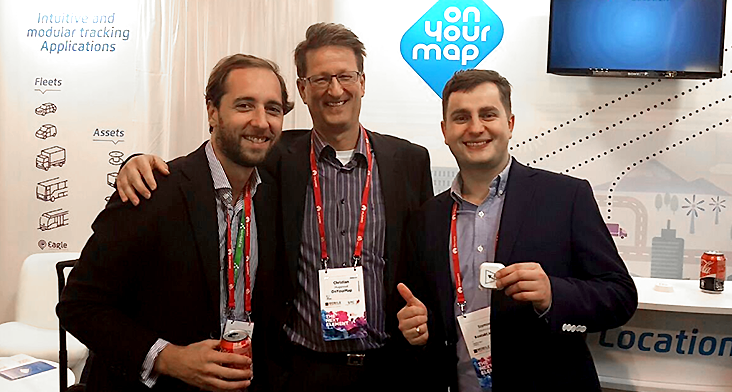 Though it took time to develop a platform, it’s now smooth sailing for OnYourMap as they make complex installation and usage a thing of the past. Having learned that stability is of the utmost importance, they chose to enlist Kontakt.io beacons to ensure a seamless, reliable connection. OnYourMap used 170 beacons to cover 15,000 square meters of the Riviera-Chablais Hospital in Switzerland. These beacons power an indoor navigation app that helps not only patients but also staff members. Lost? Patients with an appointment code can find instant directions to their designated room. Hungry? Thirsty? Users can find their way to most important point-of-interests. Not to mention, the app also caters to those with reduced mobility, offering special routes. Thus far, they’ve had great success and have found that users hardly even notice the hardware. This means the start of truly future-ready, connected experiences.